And I am BACK. New computer is working brilliantly. Yay! A super simple card... but with stickers and patterned paper as cute as these, what else do you need? So cute. Glad you're up and running again. 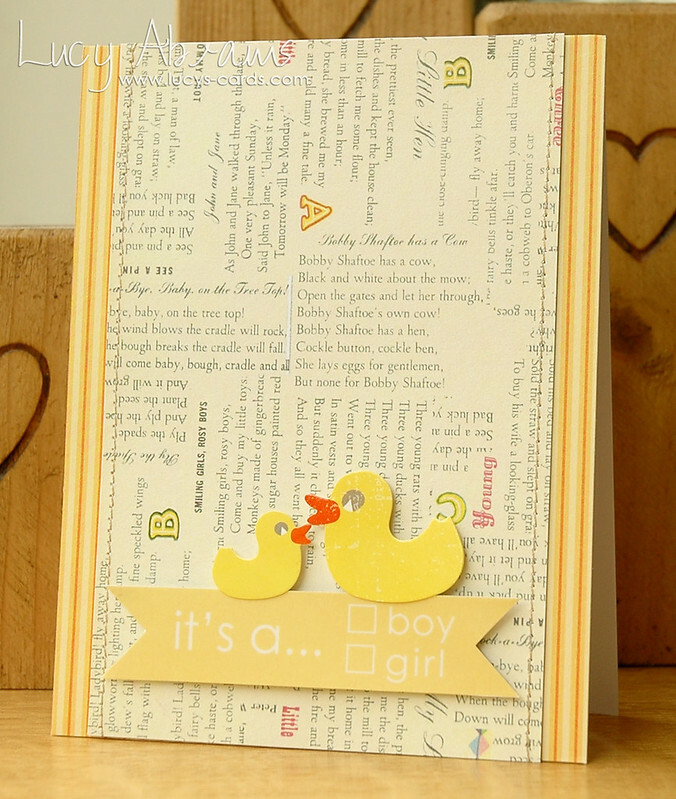 Such a cute card and love the paper you used. So glad your back on your blog!! So glad you're back with a new computer, Lucy! Adorable card! this is cut e !